Do you love food, photography and social media? Are you a food blogger, food instagrammer, food photographer or content creator eager to hone your creative craft and leverage your social media presence? 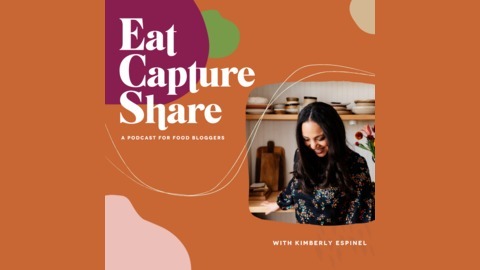 Then the EAT, CAPTURE, SHARE podcast is for you! 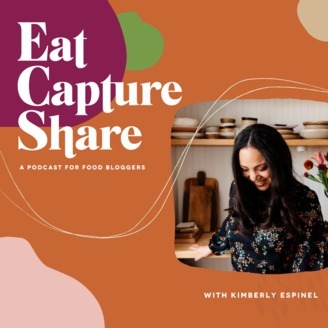 Join your host food photographer, stylist and educator Kimberly Espinel from The Little Plantation as she shares her expertise AND interviews inspirational guests for practical tips and invaluable insight into building, growing and monetising your food blog, small business and instagram. You can find out more about Kimberly at https://thelittleplantation.co.uk You can follow her on instagram at https://www.instagram.com/thelittleplantation/ And find podcast show notes over at https://thelittleplantation.co.uk/eat-capture-share-podcast. In today’s episode, I’m speaking with incredible baker and food photographer, Julian Angel, who is also the food blogger behind the stunning blog, Historias del Ciervo all about how to find your unique voice and style, what it takes to become a master baker and how he moved from a regular 9-5 job into baking and blogging full-time.